Psycho Killer is a song by the Talking Heads. It is also one of my favorite songs, so I figured I’d name a font after it. 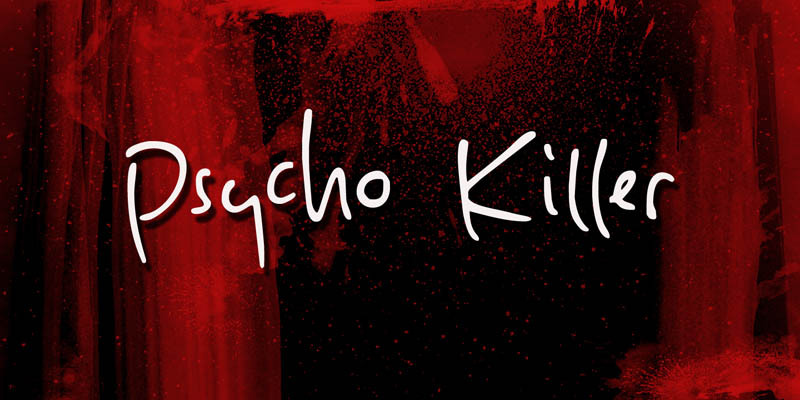 Psycho Killer is a script font; it contains some messy glyphs and gives the overall impression of a hastily scribbled note. Psycho Killer comes with alternates and a bagful of diacritics.